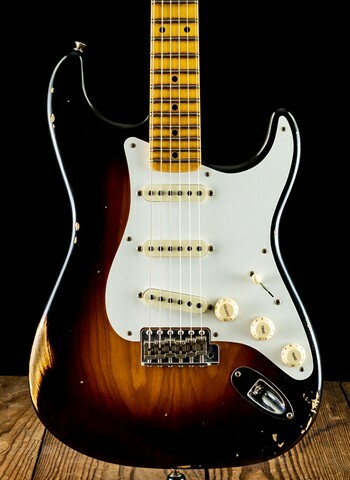 Is there any more popular guitar in sound an appearance than the Fender Stratocaster? The Fender Strat is the single most copied guitar in the entire music industry. 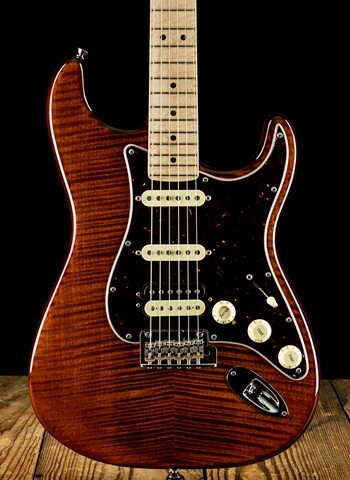 What makes the Strat stand alone in the world of guitar is its incomparable versatility and great natural tone. Fender has never limited themselves with the Stratocaster and continues to build newer and innovative versions of the Strat. 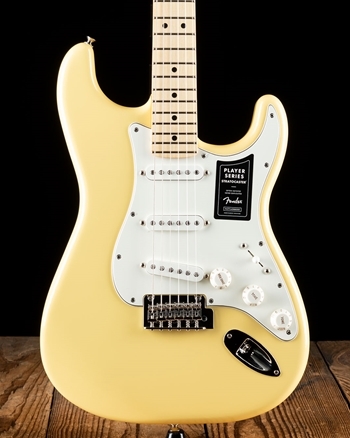 In addition to the innovation of new Stratocasters Fender continually reproduces recreations of vintage Stratocasters in such a way that they are true to the original versions of these iconic instruments. At N Stuff Music we have the widest variety of Fender Stratocasters in the entire region. From Squier Stratocasters to Fender standard Stratocasters, American standard, American Professional, and all the way up to an assortment of Custom Shop Fender Stratocasters. 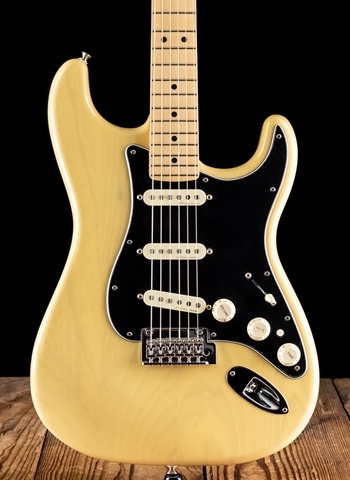 Let's discuss some of the history around the Fender Stratocaster. 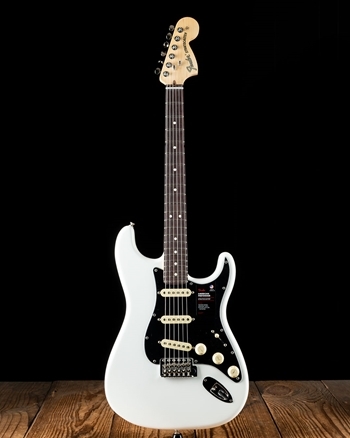 The Stratocaster was the first guitar to feature 3 pickups and a floating tremolo (vibrato) tailpiece. The 3 single-coil design went on to prove to be one of the most versatile pickup configurations of any guitar in history. This is because each pickup on its own provides a specific tonal character, but the technology was introduced in later years as players were making the 3-way pickups selector fit between two of the pickups to achieve that out-of-phase sound. This lead to the development of the 5-way pickup selector that we know the Stratocaster as having now. These in between pickup positions were popularized by guitars like Jimi Hendrix, David Gilmour, Eric Clapton, Mark Knopfler, and many others. 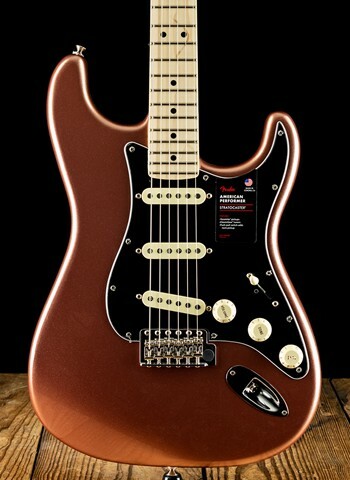 There are quite a few ranges of the Stratocaster in terms of style, affordability, and features. First, and the most affordable is the Squier by Fender Stratocaster guitars which specialize in being affordable but quality instruments. 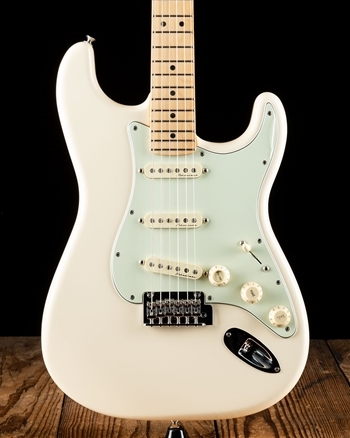 Then we have the Fender Standard line which are made in Fender's Mexico factory which has gained a reputation for one of the best values of any guitar in the industry. Scaling upward we get to the Fender American Standard and Professional series instruments which represent the top of the line of Fender's Corona factory production instruments. And finally, the renowned Fender Custom Shop which represents the Pinnacle of Fender creation and production. The Custom Shop uses the best materials and parts available in the marketplace in combination with their Custom Shop craftsmen to build these iconic instruments. 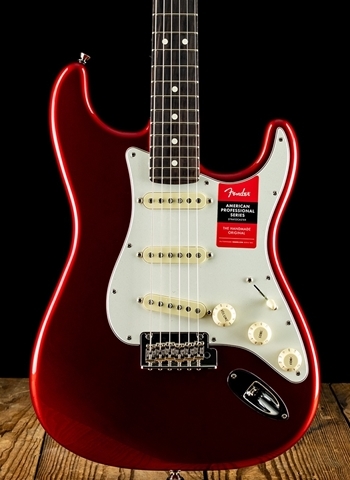 There is no single more iconic brand in the history of the guitar than Fender guitars. Fenders are the brand that has set the standard for all other guitars to be compared to. Fender has never been known to limit themselves, thus production of the Jazzmaster, Jaguar, HSS strats, Squier, acoustic guitars, mustang, duo-sonic, and many other guitars as Fender seems to never quit reinventing their possibilities. 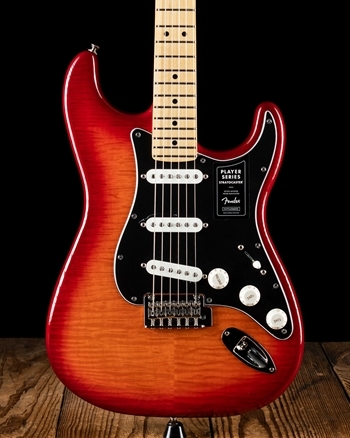 At N Stuff Music we are proudly one of the largest dealers of Fender guitars in the region and our innovative website has allowed us to become one of the premier dealers of Fender instruments in the United States. The Fender Stratocaster is the guitar in which all others are inspired by, so why not come into N Stuff Music and get the real thing?